Extreme poverty, illness, lack of professional skills, unemployment and a rising insecurity about a bleak tomorrow are all now part of a fast-receding past for the locals of Shirali and several neighbouring villages, especially the womenfolk. Thanks to the pioneering efforts made by Parijnan Foundation® to provide a free clinic, on-job training, interest-free loans and thereby, the joyful prospects of living a dignified life on one? native soil. 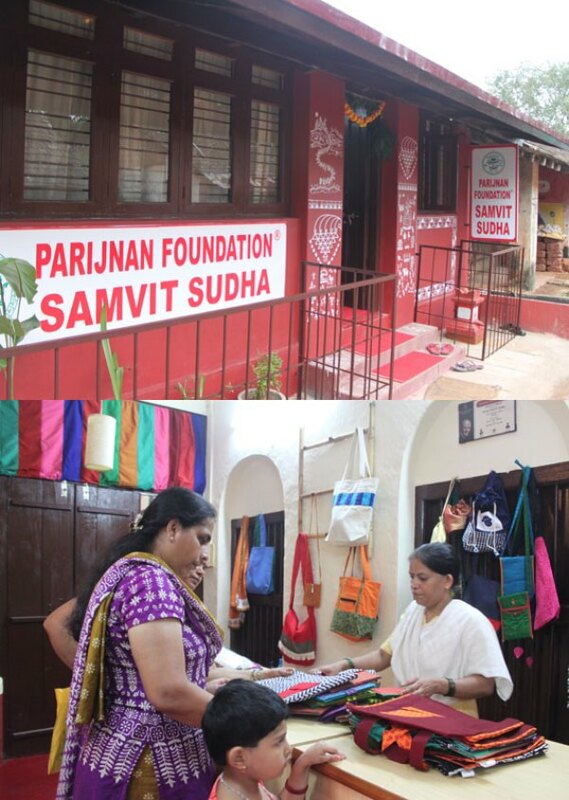 Samvit Sudha is the tailoring and embroidery unit where local women are trained to create a rainbow assortment of products combining beauty and utility. 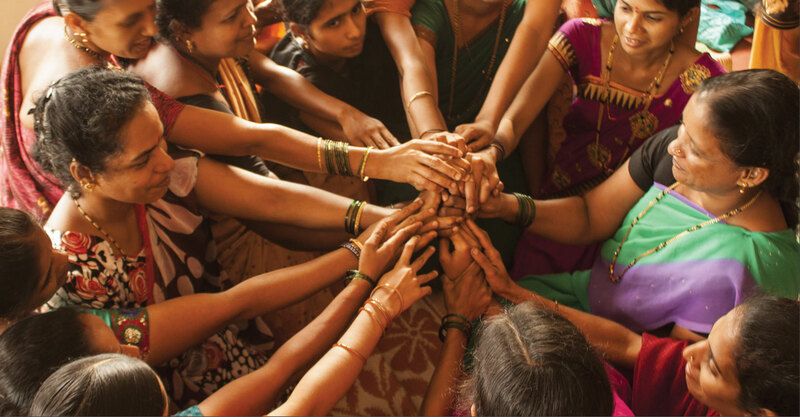 The women at Samvit Sudha are trained in various tailoring skills like embroidery, stitching, and fabric printing, depending on their aptitude and age. While the trainees who finish the course successfully are given the option of continuing at the unit for a few years, more than 50 young women have actually chosen to embark on an entrepreneurial path by setting up their own tailoring units in nearby villages, which is in keeping with the motto of ?arn while you learn? So far, more than 300 girls have been trained. The manufacturing unit is well-equipped and creates a pleasing work- environment for the women employed therein. Remuneration is in proportion to the output and even takes into account the skills required to make the product in question. There is great emphasis on quality, starting from the procurement of raw materials and stretching right up till the finished product. Samvit Sudha strives to achieve perfection in every stitch and every fold. We have hubs at Bengaluru, Hyderabad, Mumbai, New Delhi, Pune, Karla and Shirali. We have been taking part in prestigious exihibitions at Bengaluru, Hyderabad, New Delhi and Mumbai. Under the CSR (Corporate Social Responsibility) initiative , many corporates have invited Samvit Sudha to hold exhibitions at their offices and this has now become an annual feature at places like Bengaluru, Hyderabad and New Delhi. Volunteers from various sub-centres in different cities are helping in the production unit as well as in managing hubs, holding exhibitions and stalls at corporate houses as a voluntary service to Parama Pujya Swamiji and the Math. 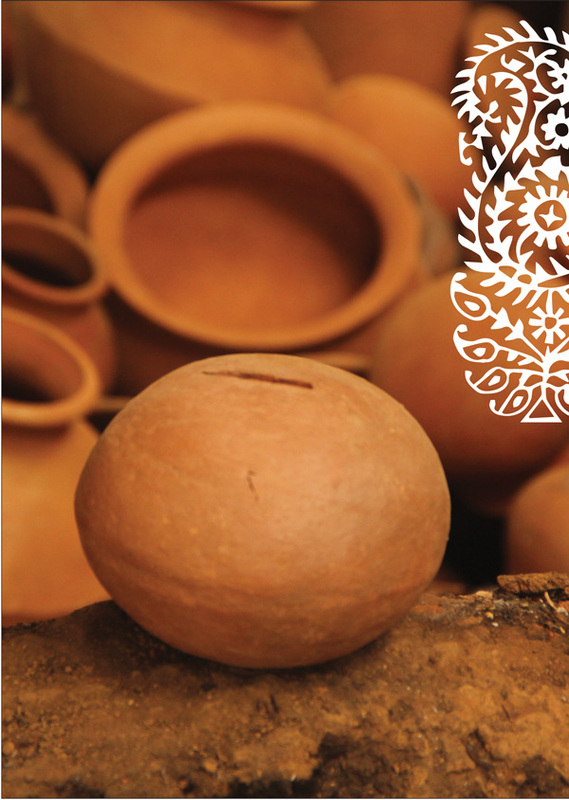 Today, the Samvit Sudha initiative is just one aspect of what makes Chitrapur a ?odel Village? which provides other villages with an inspiring example that they can adopt and emulate. 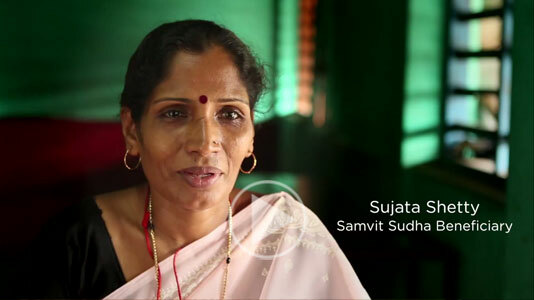 Samvit Sudha is the magic wand that has transformed the lives of many daughters, wives and mothers of Shirali by providing them with a platform to explore creative potential and become financially independent. Listen to the emerging voices of confidence stemming from financial independence and an enhanced identity, thanks to Samvit Sudha.